There is much more to washing and waxing when it comes to cleaning and protecting your vehicle’s paint. With Spring arriving, it’s time to clean off all that accumulated winter muck and give your car a thorough clean. 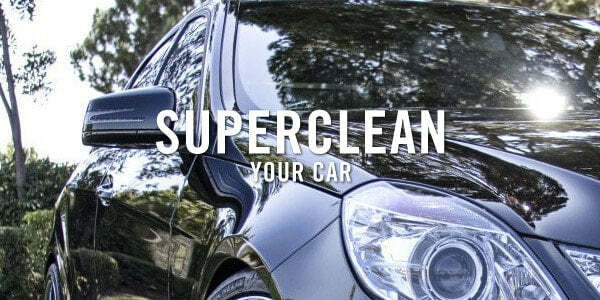 Here are the best videos on how to Super Clean each part of your car. Learn How to wash your car properly. 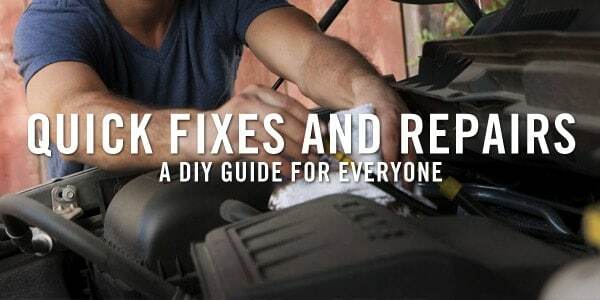 In this video ChrisFix goes over everything you need to know to Super Clean your car and make the paint go from old, dirty, and dull, to clean, glossy and bright! Tip: Make sure to let the car surface soak well when cleaning to get rid of the most stubborn dirt and stains. Learn how to Super Clean your engine bay so that it is so clean, you can eat off of it! I show you how to clean and detail the engine bay in a simple 5 step process that will NOT damage your engine or electrics! Tip: In case you are short of cleaning products a mix of baking soda, water and vinegar can really help you de-grease cheap and fast. Learn to Clean the Inside of Your Windshield. I show you the 3 step method to clean the inside of your windshield so there is no streaking and it removes the oily film. This is the easiest and fastest method to get a truly streak-free windshield. Tip: To keep the cabin air clean and dry keep a fabric bag full of activated charcoal inside your car. It will filter and keep the air clean of contaminants. Tip: After cleaning your headlights, coat them with Ceramic Coating for them to look brand new 3+ years. Using cheap ingredients bring back the old shine and look to your leather seats. The cracks are filled in and the seats almost magically restore. This can be done on any leather seat no matter how bad it’s cracked up. Tip: After restoration make sure you maintain your seats with leather conditioner every few months and your leather seats can last forever. 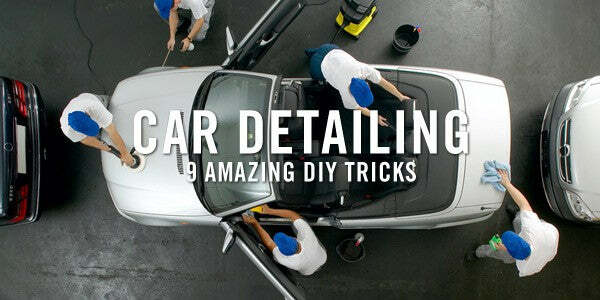 A secret DIY mix for cleaning the dirtiest car carpets is revealed. Just soak the carpets, follow the instruction on how to make a simple extractor and voila your carpets will be looking brand new no matter how dirty they were. Tip: Cleaning car carpets is best done on a warm sunny day to make sure the interior completely dries out quickly. Learn how to remove Human Slime from the interior of your car with steam cleaning. We show you how to restore the original look of the factory seats and interior using an intergalactic steam cleaning robot from out of space. Tip: Use the steam lance to remove dirt and debris in hard to reach areas where your vacuum won’t reach. Try it between the seats, in the cup holders, vents and central console. Upholstery cleaning is really hard! I usually take my vehicle for professional wash when I had to get them cleaned. I think pros to a really great job!